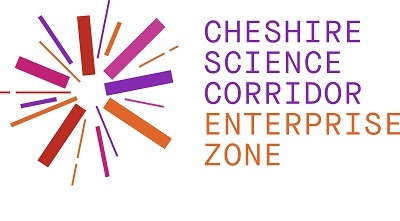 The Cheshire Science Corridor has been awarded Enterprise Zone status. This is an exciting opportunity, covering over 100 hectares, that has the potential to attract in the order of 20,000 jobs and 500 businesses to Cheshire and Warrington through a significantly enhanced profile; attractive business incentives and the ability to retain and reinvest new business rate revenue. 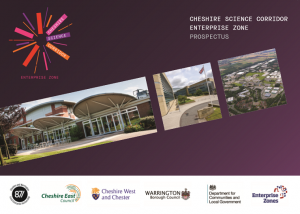 The Cheshire Science Corridor Enterprise Zone is being led by the Cheshire and Warrington Local Enterprise Partnership (LEP) and is one of the key strategic development priorities identified in their 2014 Strategic Economic Plan (SEP), and an integral component of the Devolution Growth proposal to Government. The Enterprise Zone is set within the three local authorities of Cheshire East; Cheshire West and Chester; and Warrington. The Cheshire Science Corridor is a crescent that crosses the northern part of the Cheshire & Warrington sub-region linking together nationally and internationally significant research facilities and established science based businesses including Urenco, Sellafield Ltd, Rolls Royce, Essar, AstraZeneca and Waters Corporation to name a few. The area sits within and supports the growth aspirations of the Atlantic Gateway. 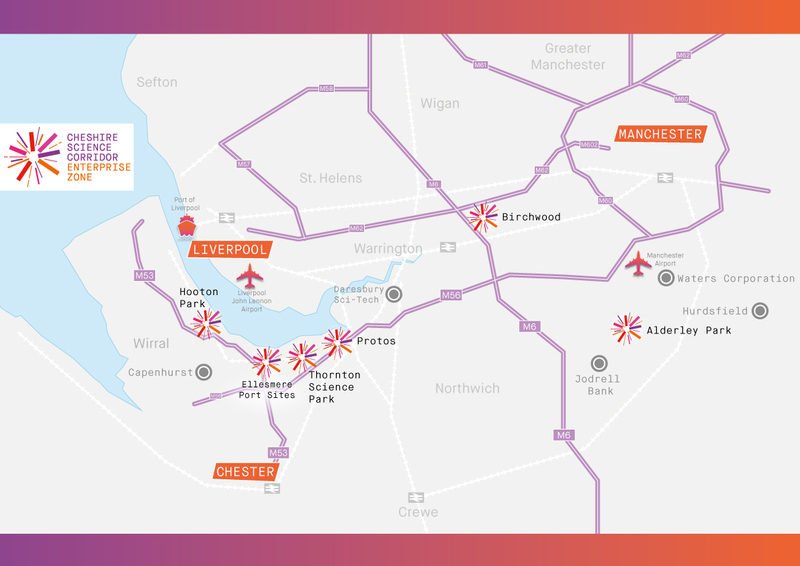 The Enterprise Zone brings together the best commercial opportunities within the Cheshire Science Corridor. The Zone covers over 100 hectares and offers a portfolio of investment opportunities ranging from affordable development sites to world class laboratories. 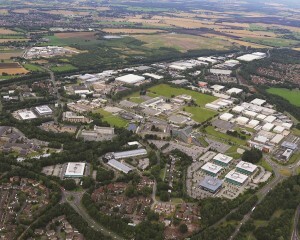 The Enterprise zone sites and premises maximise the benefits arising from the assets of the Cheshire Science Corridor and wider sub-region across all aspects of science and innovation, by facilitating significant opportunities for collaborations and synergies between businesses, institutions and research establishments. The Enterprise Zone will create 20,000 jobs and attract 500 new businesses to Cheshire & Warrington. Cheshire and Warrington is home to a strong, educated and entrepreneurial labour market with an employment rate, skills attainment and business start-up ratio exceeding both the national and regional averages. Further skills development is supported by high quality educational institutes including The University of Chester working directly with businesses at Thornton Science Park together with Reaseheath College and the Colleges of Mid, West and South Cheshire. 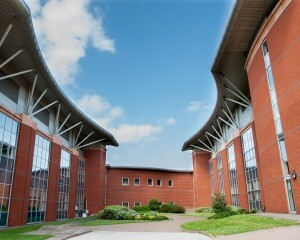 The University of Liverpool; Liverpool John Moores University; The University of Manchester; and Manchester Metropolitan University also provide world class education and research capabilities on the edge of the Science Corridor. The Cheshire Science Corridor is well connected by road, rail, water and air. The Enterprise Zone sites benefit from easy access to the major motorway network, in particular the M6 corridor. Two international airports, Manchester and Liverpool John Lennon, serve almost 30 million passengers and transport near 120,000 tonnes of air freight to 160 countries worldwide every year. The new deep water contained terminal at Liverpool 2 is just 40 minute drive away, and the Protos site in Ellesmere Port has the potential for direct access to the Manchester Ship Canal. The Enterprise Zone is targeted at the best commercial opportunities in the Cheshire Science Corridor. Attractive financial incentives for science based and growing occupiers. Heightened market profile and closer working with UKTI to attract more investment. 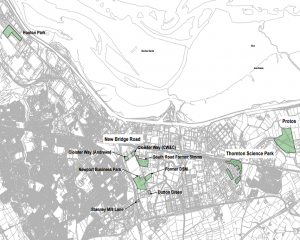 Clear and supportive planning policy in place for each of the Enterprise Zone sites. Working towards delivering super-fast broadband. 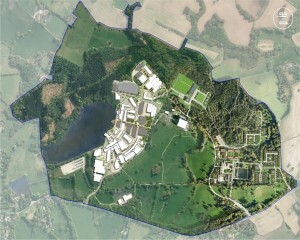 The Enterprise Zone will maximise the benefits arising from the opportunities and assets in the Cheshire Science Corridor and wider sub-region across all aspects of science and innovation, by facilitating significant opportunities for collaborations and synergies between businesses, institutions and research establishments.